Periscope Adds New Audience Stats: Periscope added improved “viewer and watch time statistics to all broadcasts” and the ability to “see a graph of your viewers over time to find your broadcast’s moments with the most reach.” The feature is currently only available for iOS. 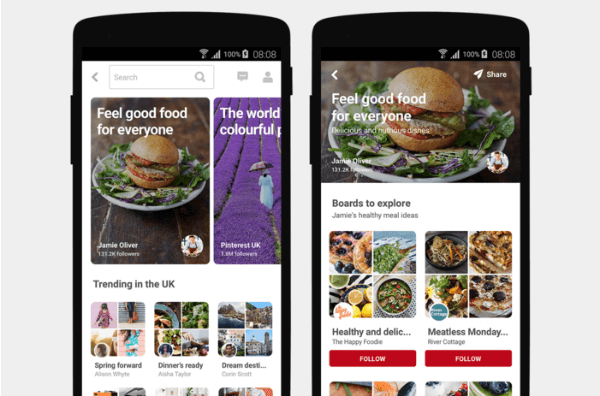 Pinterest Launches Featured Collections to Global Audience: Pinterest’s new featured collections are “curated collections of trending topics localized to the UK, France, Germany, Brazil and Japan.” More countries and languages will be added in the next few months. Periscope Debuts Sketching Feature for Live Streams: Periscope launches the ability to “sketch while you scope” on iOS. In this blab from Friday, April 29, 2016, Michael Stelzner and guests discuss the top news in social media. Topics include Facebook news feed insights (1.42); Facebook Developers updates for sharing, engaging, and measuring on Facebook (17:30); and Google Play’s official welcome of podcasts (28:55). Subscribe to future shows here. 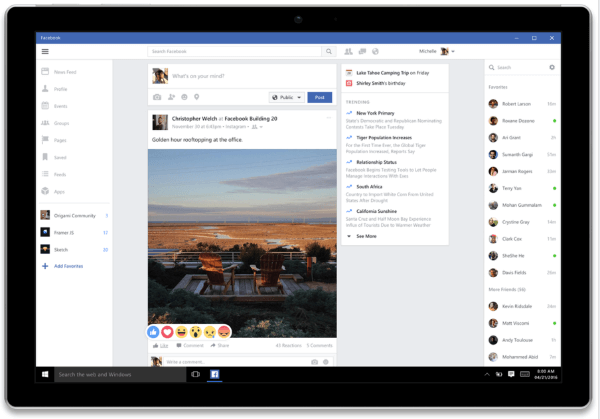 Facebook news feed link mentioned by Mike. Facebook Recognizes Small Business Week With In-Person and Online Events : Facebook is “looking forward to meeting small businesses from around the country and offering tools, resources and networking opportunities to help grow their businesses” with Facebook and Instagram marketing. 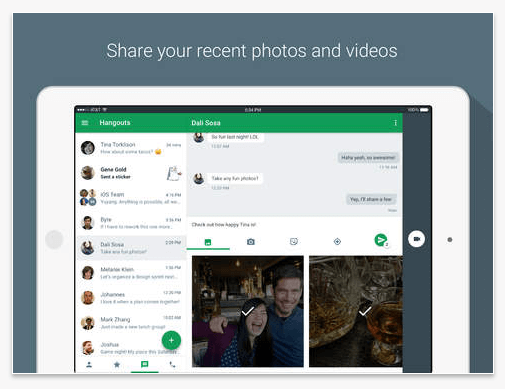 This new update to Google Hangouts for iOS is now available in the App Store for both iPad and iPhone. Periscope Adds Autoplay Feature to Twitter for Android: “Periscope live streams will now autoplay on Twitter timelines on Android.” This feature was made available to Twitter users on iOS earlier this year. 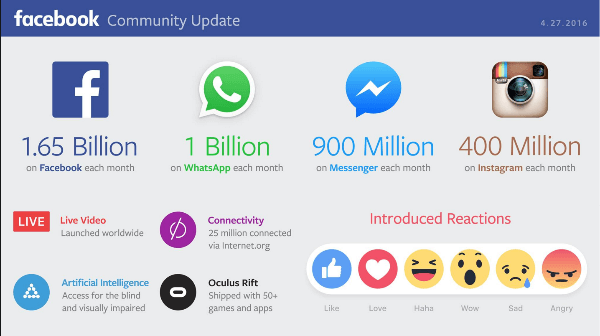 The Facebook community now includes 1.65 billion people. Discover How Marketing Analytics Increases Business Performance: A new study commissioned by Google from Forrester Consulting uncovers how successful organizations are leveraging marketing analytics tools to develop relevant customer experiences and make the most of their customer interactions. The key findings reveal that access to well-established metrics tied directly to business objectives and the right mix of analytics tools are critical to marketing success. The Global Authentic 100: Cohn & Wolfe compiled a list of the highest-ranking brands in the world in terms of perceived authenticity based on a survey of more than 12,000 consumers in 14 markets on more than 1,600 brands. Respondents rated each brand against seven key attributes of authenticity. The findings suggest that authenticity matters greatly to customers. Of those surveyed, only 22% agree that brands and companies, in general, are open and honest. However, 88% are willing to reward authentic brands with recommendations (52%), loyalty (49%), and value (48%). A brand’s authenticity also attracts 1 in 5 consumers to work for or invest in the company. Bazaarvoice CGC Index : According to a new report from Bazaarvoice, consumer-generated content (CGC) is a major driver of sales and product engagement on ecommerce sites and social media. The report shows that 57% of retailers and 61% of brands currently integrate CGC into their social media efforts and campaigns. 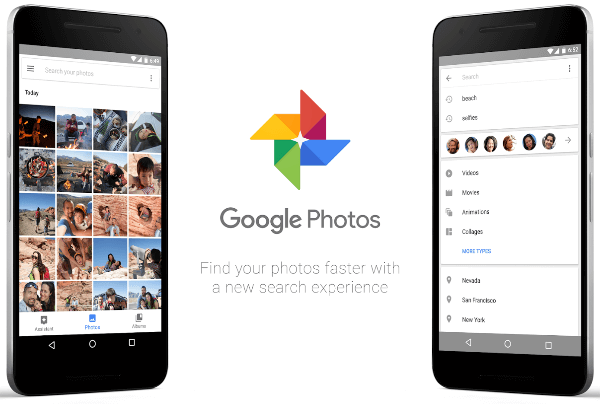 Also, the use of visual content in marketing is increasing. The Bazaarvoice Curations tool processed 4.7 times more photos and 4.5 times more videos on product sites and social media in 2015 than in 2014.The findings also report that revenues increased by 106% on retail sites and 75% on brand sites when customers were exposed to some element of CGC prior to their purchase. 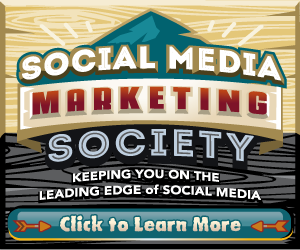 Join thousands of fellow marketers in the Social Media Marketing Society, the exclusive membership community from Social Media Examiner, designed to keep marketers on the leading edge of social media. This week only: Save $300 on your annual Society membership and receive a Social Media Marketing World 2016 Virtual Pass – FREE! Yes, all 100+ sessions from this month’s conference will be immediately available to you (a $697 value). This special offer ends Friday, May 6, 2016. Have you watched video on Snapchat? What do you think of the new 6-second mobile ads on YouTube? Please share your comments below. 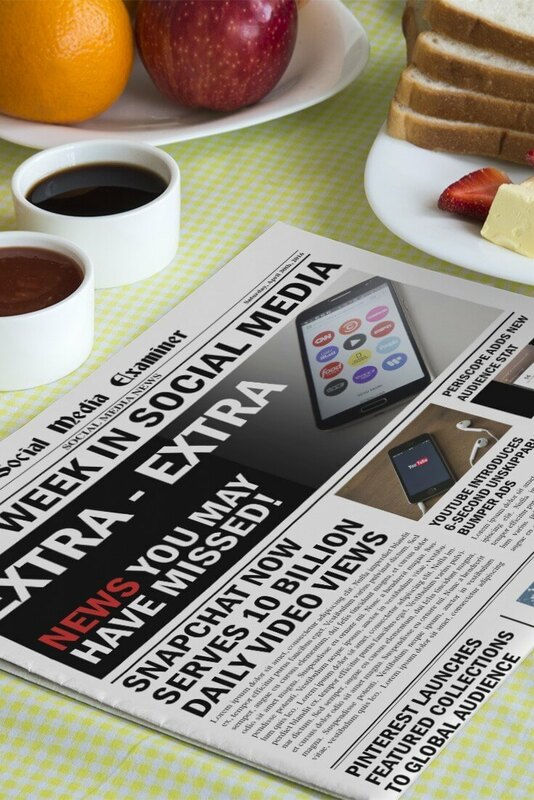 Snapchat Delivers 10 Billion Video Views Daily and other social media news for April 30, 2016.